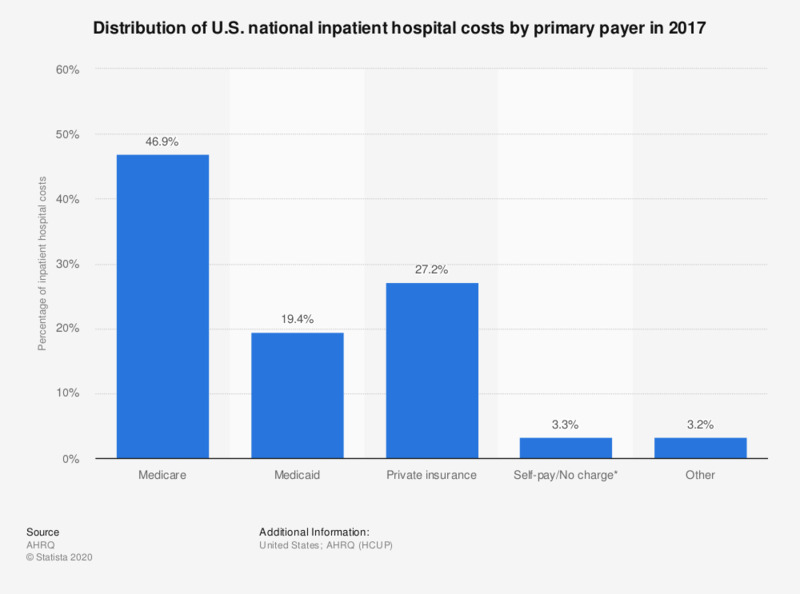 This statistic illustrates the distribution of total U.S. hospital inpatient costs by primary payer in 2013. In that year, Medicare incurred 46 percent of the total national hospital inpatient costs. Thus, Medicare spent the largest share.